Experience all the fun and excitement in one of our Toledo limo buses! Celebrate your next special event in style and total comfort while entertaining your friends in one of our Toledo's limo buses. Birmingham Limousine Service is ready to make your event the most amazing experience ever! 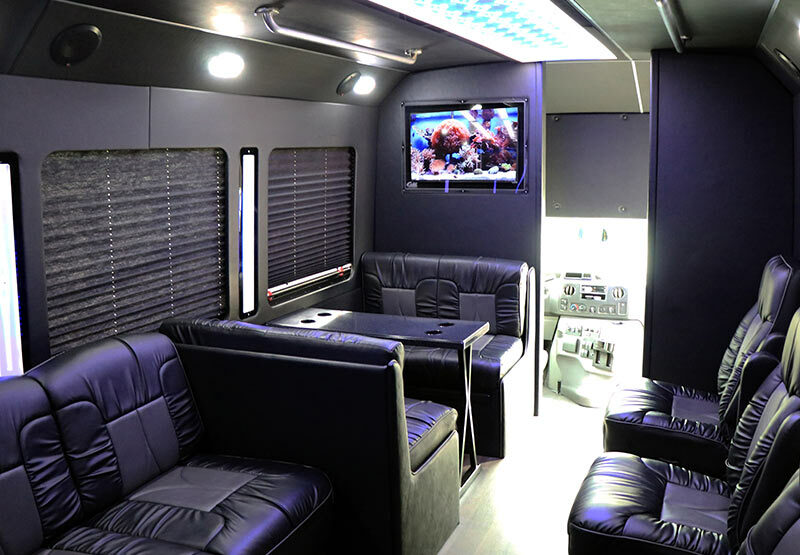 Take in all the lights, action and fun while being transported to your event destination in VIP style. Our professional chauffeurs will treat you and your party guests as celebrities. Our limo coaches always arrive clean and ready to treat your party guests with the latest in travel entertainment systems and safety. 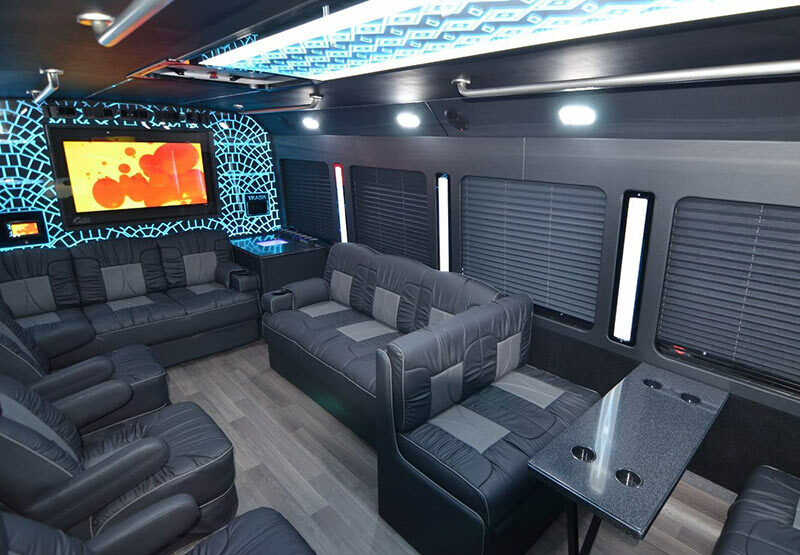 Enjoy plush seating for everyone, wet bar with ice, large color monitors with DVD system, state-of-the-art sound system with MP3 connectivity, client controlled mood lighting systems, custom seating and much more! Call to reserve your special event date and enjoy one of new model limo bus rentals. Birmingham Limousine Service proudly services Northwest Ohio and Southeast Michigan with professional transportation services. Birmingham Limousine Service offers the latest in affordable limo bus rentals. We operate a complete line up of beautiful limousine buses that offer seating for 10-14, 16, 20 and 26 passengers. Celebrate your special event in one of our luxury limo buses while your professional chauffeur caters to your guests needs. Relax and enjoy your travel experience from the moment we pick your and your guests up. You'll love our VIP personalized travel services and our great limo bus rental rates. Call Birmingham Limousine Service for a free service quote or use our online reservation system to book your next Toledo event limo bus transportation. Birmingham Limousine Service presents the ultimate limo bus rental that seats up to 26 passengers in grand style and total comfort! 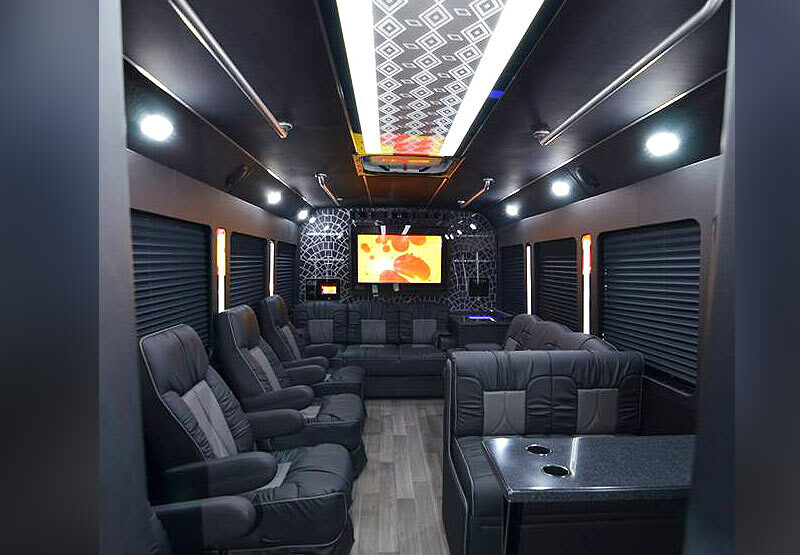 This luxurious limo bus is a custom build that features a wide list of amenities to make your next special occasion one to remember for a lifetime. 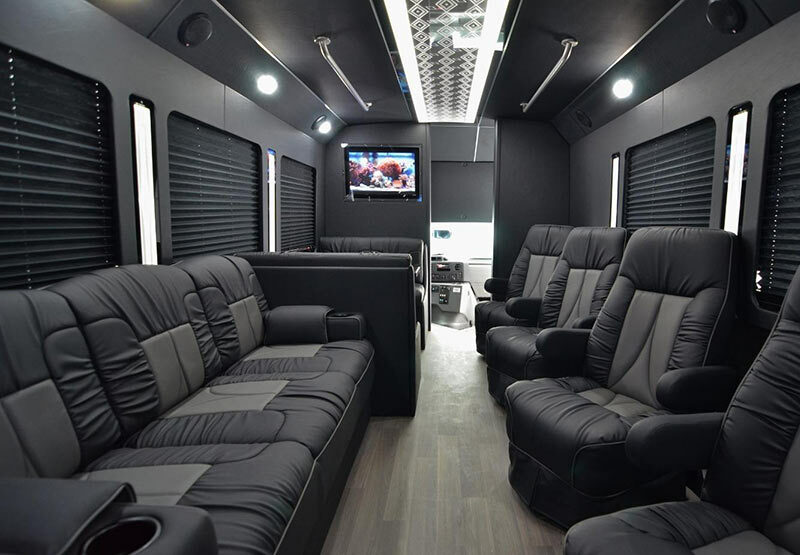 Experience plush seating, mood lighting throughout, lighted ceiling with color changing led lights, fiber optics, state-of-the-art surround sound entertainment system, large screen monitors with DVD player and smart phone connections, wet bar with glassware (upon request), and window blinds for privacy. Here at Birmingham Limousine Service we make renting a Toledo limo bus easy. Our team is ready to answer any questions you may have about our luxury fleet vehicles, rates, and services. Call today and discover the Birmingham Limousine Service difference. We strive for customer service excellence in all we do. We look forward to making your next special event the most amazing it can be with our luxury limo bus experience!